Matt Winter Band offers packages to fit every wedding. Big or small, formal or informal, Matt Winter Band is a great choice for every occasion. Below are a few of our most popular packages. Matt Winter Band’s Song List is available here. If there’s a specific song you would like to have at your wedding that you do not see on the list, the band will be more than happy to learn it! Matt Winter Band carries full coverage insurance for all events. Contact Us to discuss what your needs and expectations are. We will be sure to customize a package that will work for your budget and will highlight your special day! Matt Winter plays his acoustic guitar and sings starting with Pre-Ceremony to Recessional. His beautiful Ceremony music is played through our professional sound system. Bride’s choice on all song selections! Complimentary microphone for officiant included. Make your Ceremony memorable with the warm, tropical sound of the steel drums. Brides choice on all song selections! The perfect prelude to a great reception! Allow your guests to mingle to 1 full hour of Matt Winter and His Guitar with Vocals. Professional Sound System provided for premium quality sound. Everyone knows the Rehearsal Dinner is where the celebrating really starts! Kick-off the most memorable weekend of your life with the sounds of Matt Winter. He can perform Solo, as a Duo, or Trio or with the Full Band. Combine this package with any of our Wedding Music Packages and receive a discount! 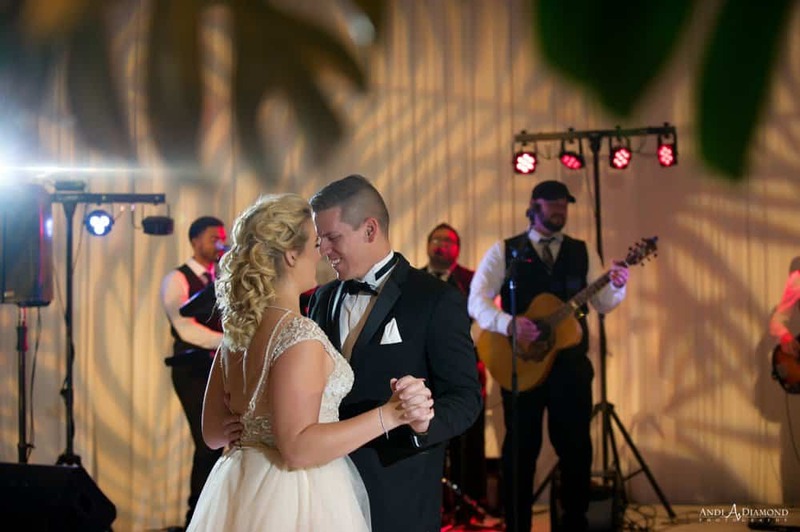 Allow Matt to rock your Reception with stellar guitar music & vocals! He will perform your customized song selections from the first dance, to closing number, and all the music in between! This package includes PA System, Professional Stage Lighting, Customized Song List, Matt Serving as the MC, and Complimentary Break Music. This package pairs perfectly with our DJ Plus Package! Matt and his Drummer provide the perfect ambiance and energy to your reception! 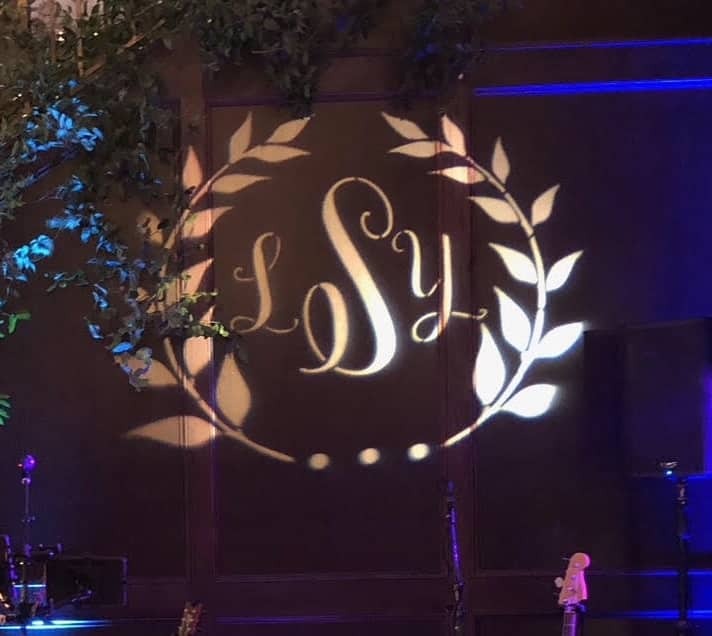 Create a feel-good, cut-loose wedding atmosphere with Professional Sound, Professional Stage Lighting, a customized song list, Complimentary Break Music, and Matt serving as the MC. Complimentary microphone included for your guests to provide toasts. The perfect trio of Guitar, Drums and Bass keeps your reception fresh and fun! Professional Sound, Professional Stage Lighting, a customized song list, Complimentary Break Music and Matt serving as the MC keeps the celebration rolling! Complimentary microphone included for your guests to provide toasts. A seamless blend of Matt and 3 Additional Professional Musicians will infuse your reception with excitement! Large Professional Sound System, Professional Stage Lighting, Customized Song List, Complimentary Break Music, and Matt serving as MC will ensure you and your guests are ready to party! Keep the crowd energized on the dance-floor with Matt and 4 Additional Professional Musicians (Guitar, Bass, Drums, Saxophone and Keyboard). This package provides premium quality sound, Professional Stage Lighting, Customized Song List, Matt serving as the MC, Complimentary microphone, and complimentary break music. A solid crowd-pleasing package that keeps your guests literally on their toes! Matt and 6 Additional Professional Musicians, 2 Sound and Lighting Engineers, Large Professional Sound System, Professional Stage Lighting, Customized Song List, Matt serving as the MC, Complimentary Microphone, and Complimentary Break Music. This package provides a full scale live performance of your favorite music! Matt and 7 Additional Professional Musicians, 2 Sound and Lighting Engineers, Large Professional Sound System, Professional Stage Lighting, Customized Song List, Matt serving as MC for the event, Complimentary Microphone, and Complimentary Break Music. Aim to get every single person on the dance floor with the party band package! Matt and 8 Additional Professional Musicians (Guitar, Bass, Drums, Electric Guitar, Saxophone, Female Vocalist, Keyboard, Trumpet & Trombone), 2 Sound and Lighting Engineers, Large Professional Sound System, Professional Stage Lighting, Customized Song List, Matt serving as MC, Complimentary Microphone, and Complimentary Break Music. 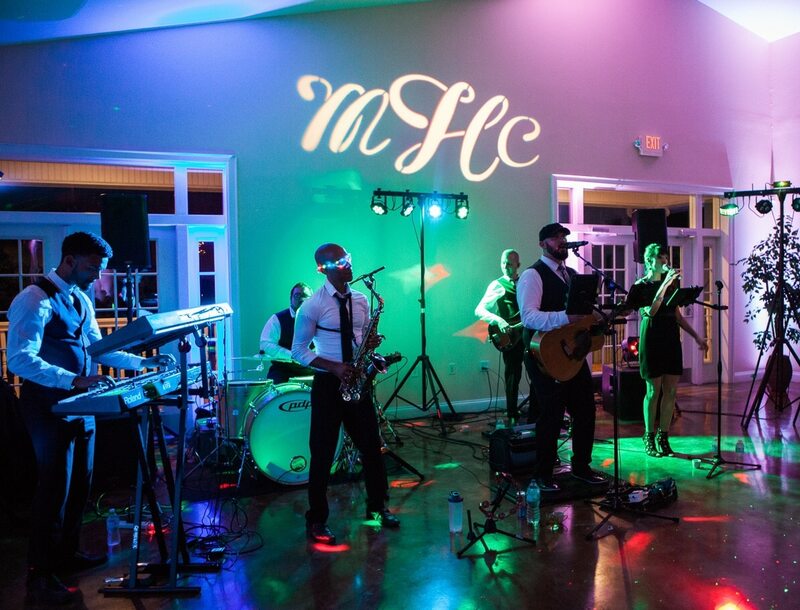 Pump up the bass and pack the dance floor at your Reception by adding on this Live Music and DJ combination option to any of our Reception Packages! 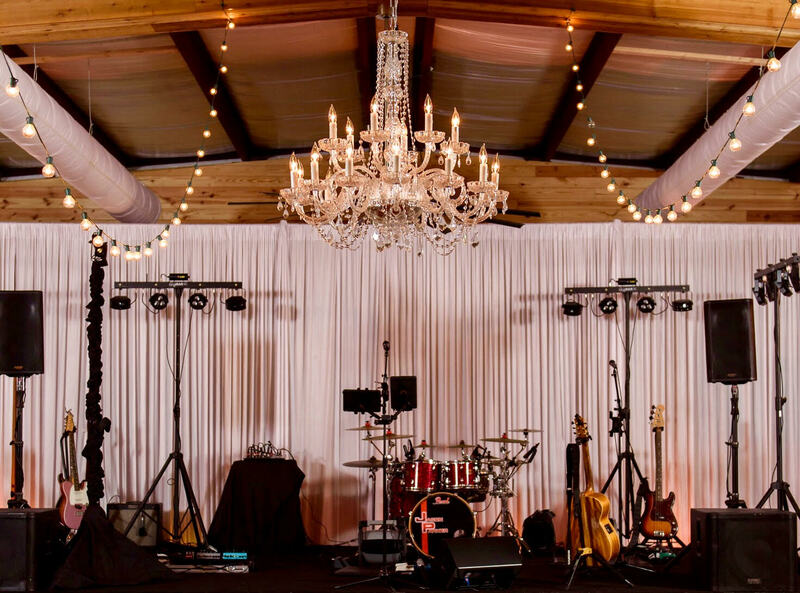 You and your guests will enjoy Matt Winter Band's amazing live performances in addition to Matt professionally DJing all of your favorites throughout the evening! We leave it up to you to decide how much live music and how much DJ music you prefer to be played. No other band in the state offers this unique blend of live entertainment with a club mix! 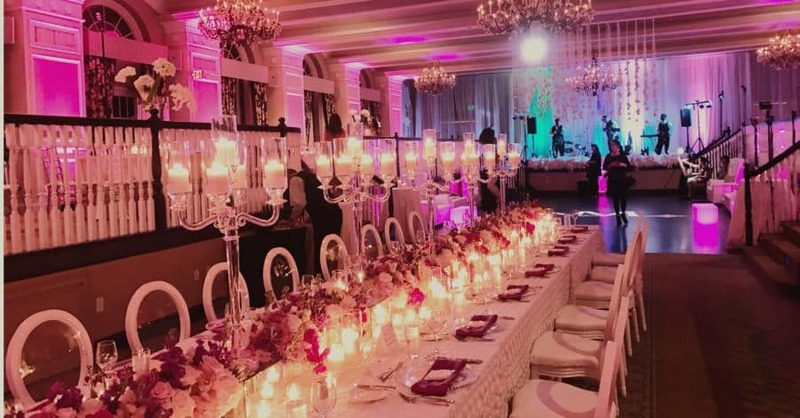 Lighting is one of the most impactful investments you can make for your wedding. Allow our professional LED uplighting to make a big impression by accentuating space with our creative lighting. Our lights create ambience and a spectrum of color as each beam blasts up a wall and to the ceiling. 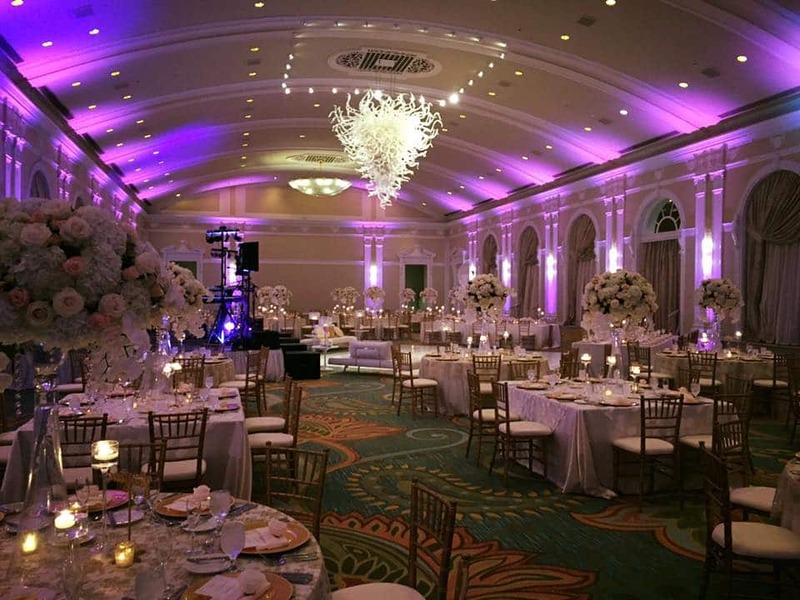 We position the light to reflect up pillars, statues, window frames, draping or anywhere else you choose! We match our lights to the precise color or colors of your choice! 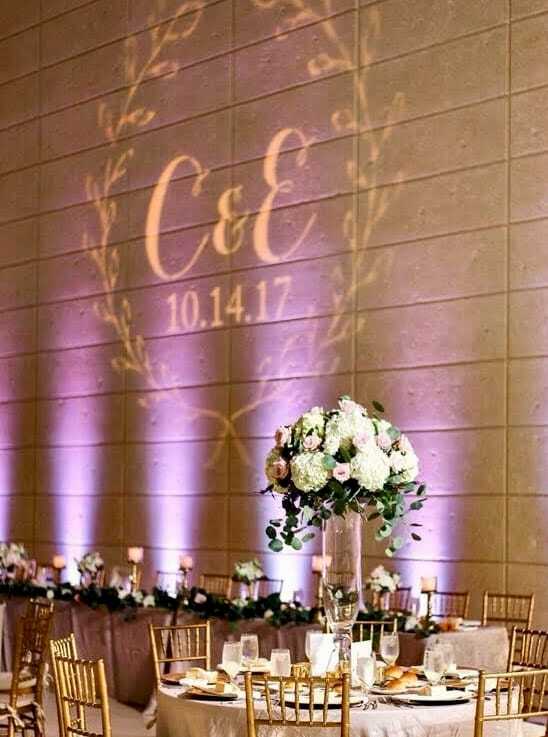 We love seeing the initials of our brides and grooms highlighted at their Reception! 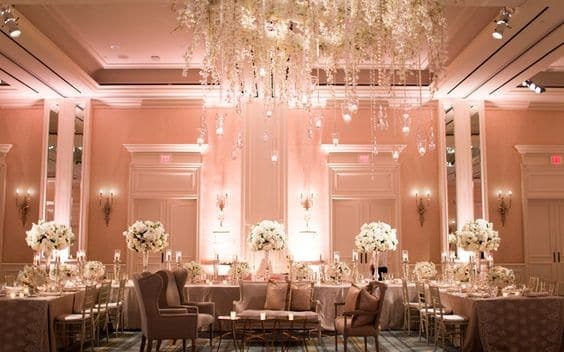 Our monogram lighting provides a creative and personalized touch. 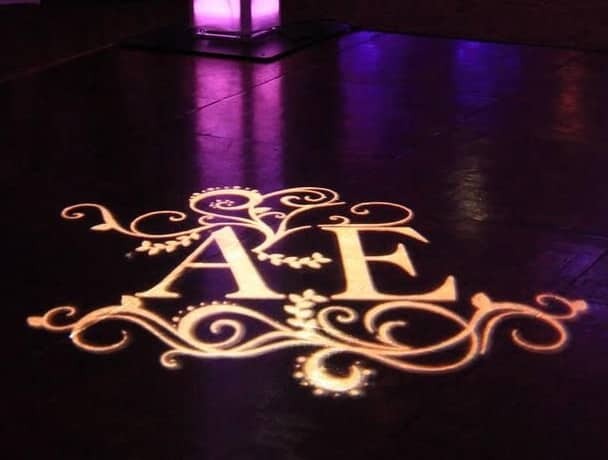 Allow us to shine your new initials onto the dance floor, wall, or ceiling. We create a glamorous look for your Ceremony using our custom Pipe and Draping! 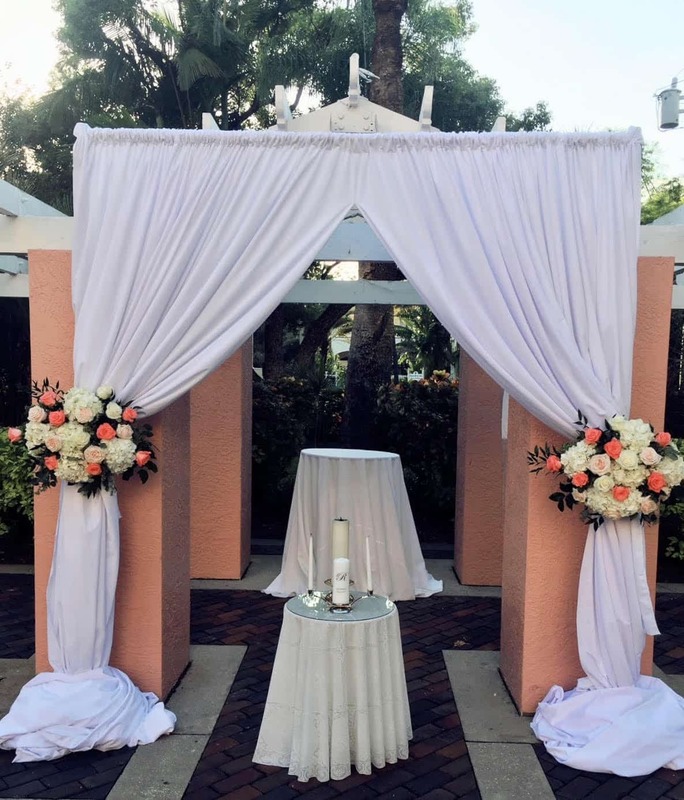 We can custom drape the altar, create a stunning bridal canopy, or drape an existing arbor. Our custom Pipe and Draping Ceremony package enhances any space by taking it from simple to beautiful!!! 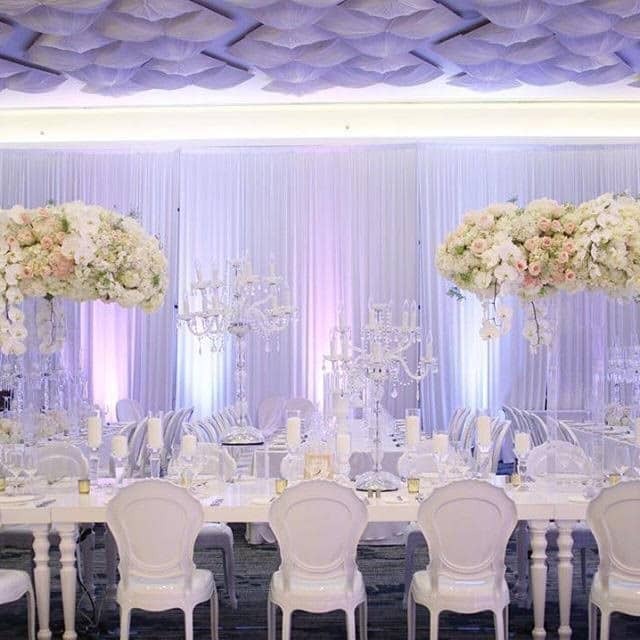 Make a dramatic statement at your Reception with our custom Pipe and Draping! 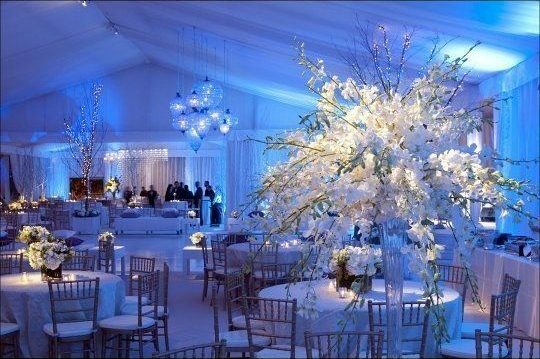 We can install standard or custom pipe and draping in ceiling height or taller for your wedding. Most of the night will take place on the dance floor! 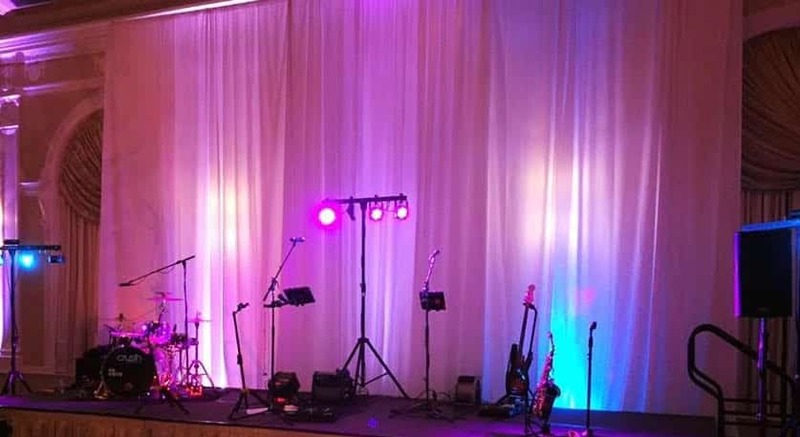 Make your stage area look amazing with our premier Draping and LED Uplighting behind the band’s performance area! 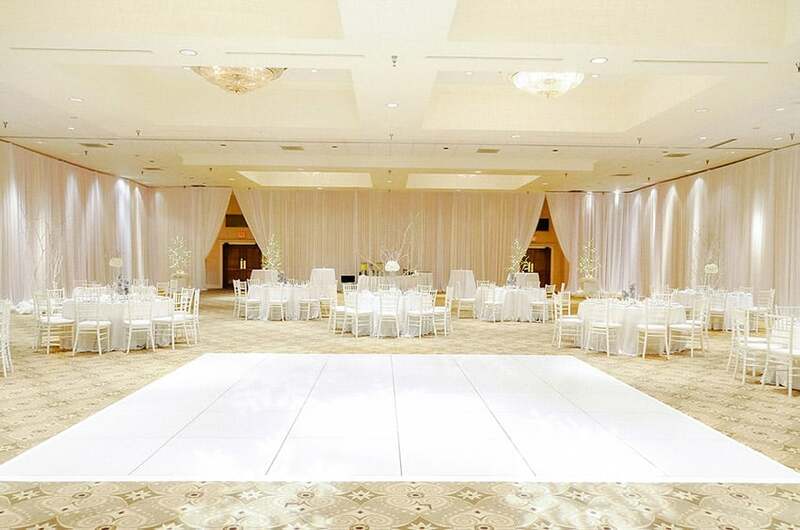 Your dance floor is the perfect spot to highlight on your wedding day! 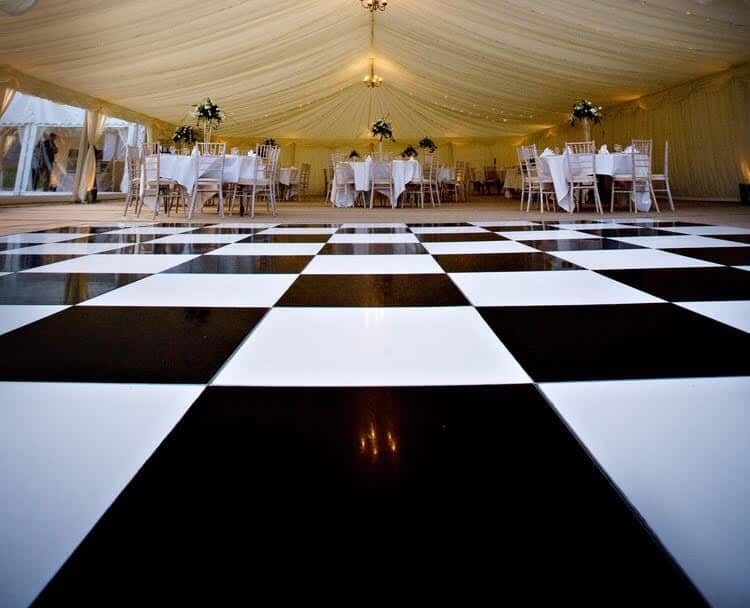 Our super CHIC and stylish, ALL-White OR Black & White Checkered dance floor transforms any space into a dance party! Up to 21×21 in size. 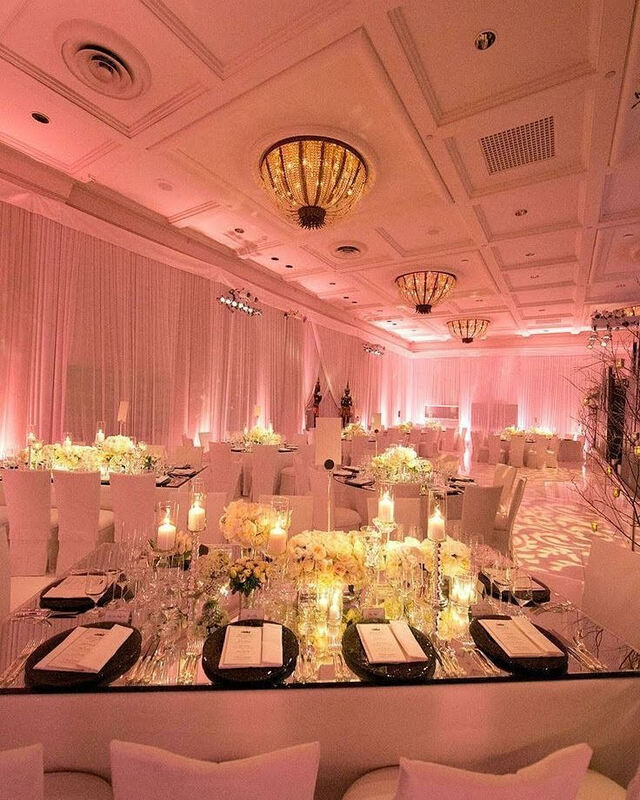 Combine this with our Gobo projection lighting to display unique designs and monograms and to add that perfect touch!